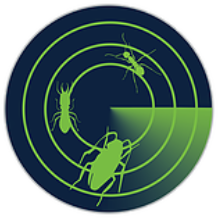 Radar Pest Control has been in the industry long enough to know that it’s not if pests will return, but when. When you’re getting pestered, we’ll do our best to put a smile on your face. We’ll get you scheduled in minutes and do our best to eradicate any pest problem efficiently. Buderim has lots of Pests, Get Rid of Them Today! Pests seem to be everywhere you turn here in Buderim. Some people choose to try to take them on by themselves, sometimes exacerbating the situation. If you’ve been battling them yourself and looking for a pest control professional, you’ve come to the right place! Radar Pest Control is here to tackle any and all pest problems that you will face. From the spread of bacteria to home damage, pests are an unwanted nuisance and need to be taken care of quickly to prevent their spread. For most people, their home is their largest investments of their lives. Nobody wants to see the value of the house drastically go down due to the damage caused by termites. Termites are small insects that look similar to ants, but are attracted to wood. They are truly miniature wood eating machines! They have done extensive damage in Australia and need to be eliminated from your home and property. The way to start this process is by scheduling a termite inspection. The professionals at Radar Pest Control will thoroughly go through your home and check signs for termites and termite damage. If needed, a termite treatment will be administered and follow ups will be scheduled. We will implement liquid barriers and monitoring systems to make sure that termites won’t be back for good. Buderim residents can trust Radar Pest Control with any infestation, big or small. With local knowledge and the right training and equipment, you’ll know that you are in good hands when you use our service. Contact us today for a quick solution to all your pest control needs. If you hear scratching or other sounds in the night, there’s a chance that there are rodents around your home. Sure, rodents are gross, but their looks aren’t what you should be worried about.Rodents have been known to carry diseases, chew on and damage electrical wiring, and leave your home with an awful smell. If you suspect rodents around or inside your home, you need professional rodent control with someone who knows the industry inside and out. Radar Pest Control will make sure you’re rodent free in no time! Have you ever turned on the lights and seen cockroaches scatter? It is enough to make a grown man a bit queasy. Not only are cockroaches unwelcome house guests, they are also carriers of bacteria and are extremely prolific. A single cockroach can hatch hundreds of eggs, not to mention, their young mature fast to a breeding age. Cockroaches shouldn’t be in homes, especially with children and pets present. There is evidence that the cockroaches and asthma symptoms go hand in hand. In short, if they are in your home, they need to be gone before they cause damage to your home or your health. Pests are afraid of Radar Pest Control. Call Today.